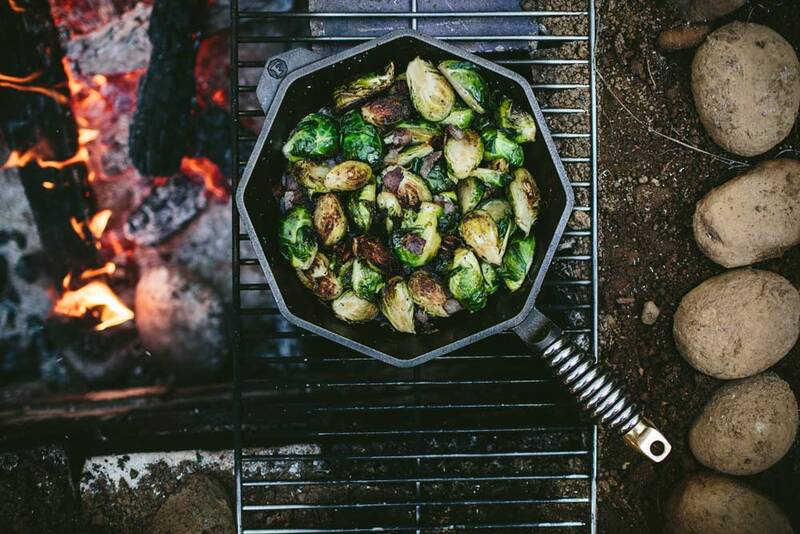 5-Ingredient Bacon Caramelized Brussels Sprouts | FINEX Cast Iron Cookware Co.
Brussels sprouts. No other vegetable has such polarity regarding its appeal. Growing up as kids, it was a requisite to have an intense dislike for these little green superfoods, and many adults have permanent memories that make it tough to bring these back to their palettes. It’s no surprise though, for years the conventional cooking method was to simply boil brussels sprouts and maybe serve with salt and pepper. While this is still delicious for a few die-hard sprout fans, it can be quite off-putting and boring for most. The good news however, cast iron is made for transforming the flavors of these little nutrient-packed buds into something entirely addicting. When you combine the caramelizing power of a 10-inch cast iron skillet and a few simple ingredients, the result is a simple but heavenly dish that’s packed with delicious flavor and hearty nutrients. You’ll keep coming back for seconds or thirds and without the guilt too, because brussels sprouts are quite healthy and appropriate as an accompaniment all year long. One of our favorite recipes, which is very simple, comes from the talented Eva Kosmas Flores of Adventures in Cooking. Her rendition of the tried and true bacon and brussels sprouts is hard to beat and worth bookmarking for future use in your culinary cast iron adventures. Enjoy. 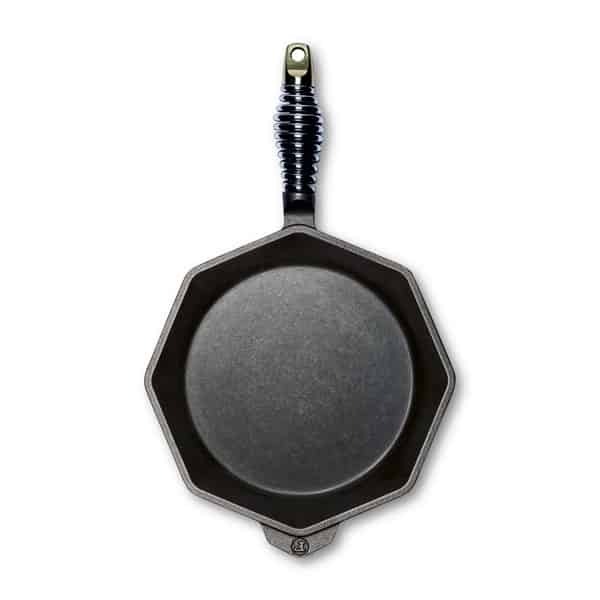 Place a 10-inch skillet over medium heat. Add the chopped bacon and saute until slightly cooked but not crispy. Remove from pan with a slotted spoon or spatula and set aside. Add the brussels sprouts, olive oil, salt, and pepper and saute until the brussels sprouts soften and turn a brighter and deeper shade of green, about 10 minutes, stirring every 2 to 3 minutes. Add the bacon to the pan and stir to combine. Continue cooking until the bacon is crispy and the brussels sprouts have turned gold around the tips and are relatively soft when pierced with a fork, about 6 to 8 minutes more, stirring every 2 minutes. Add the bacon to the pan and stir to combine. Continue cooking until the bacon is crispy and the brussels sprouts have charred lightly around the tips and are relatively soft when pierced with a fork, about 6 to 8 minutes more, stirring every 2 minutes.